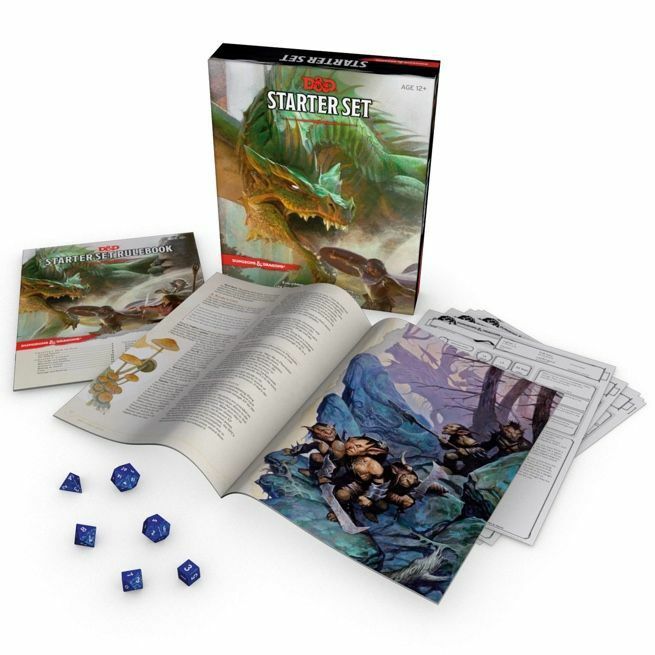 If you've been thinking about getting into Dungeons & Dragons, the easiest (and most affordable) way to do so is the D&D Starter Set. It comes with five ready-to-play characters, six dice, the adventure book Lost Mine of Phandelver, a rulebook, and a character sheet. At the original price of $20 it's a solid deal, but you can get it for only $12 on Amazon right now if you hurry. The three main D&D books are also on sale right now: Player's Handbook (41% off), Monster Manual (45% off), and Dungeon Master's Guide (47% off). "The Dungeons & Dragons Starter Set is your gateway to action-packed stories of the imagination. This box contains the essential rules of the game plus everything you need to play heroic characters on perilous adventures in worlds of fantasy. Explore subterranean labyrinths! Plunder hoards of treasure! Battle legendary monsters!" "Dungeons & Dragons is the world’s greatest roleplaying game. Created in 1974, D&D transformed gaming culture by blending traditional fantasy with miniatures and wargaming. The main Dungeons & Dragons books are the Player's Handbook, Monster Manual, and Dungeon Master’s Guide."